Mugs are out. Corkcicles are in! I refuse to Google this. 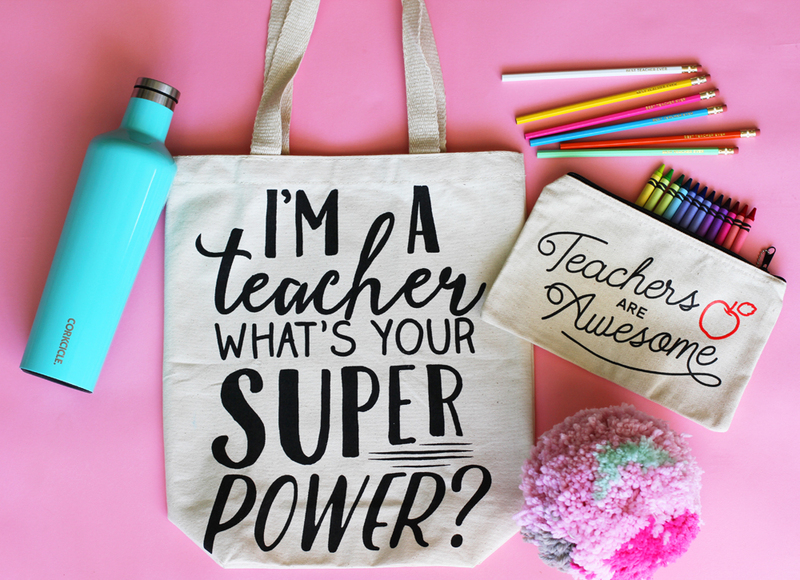 Holy Moly, today I am showing you some super awesome Teacher Appreciation gifts (Hallelujah) that will make YOU ... I mean, your child, stand out. I am obsessed with Paper Source. I joke with my kids that we own half the store, because we are always there buying journals, toys, and fun goodies. We have almost all their wrapping papers hanging in our craft room. This week they were kind enough to send us their top Teacher gifts to share on KTLA 5 news. My favorite is the tote and Corkcicle canteen that holds an entire bottle of wine! Not only is everything affordable, but also super functional. Each item we picked can be used in or outside the classroom. Scroll down to see all my favs. How fun are these pencils and the super adorable pencil bag? Both can be used in the classroom. The pencil bag is a thick canvas. Lalala Love. My love affair with the Corkcicle canteen. Thanks to Paper Source for all items provided. As always, all thoughts are my own.